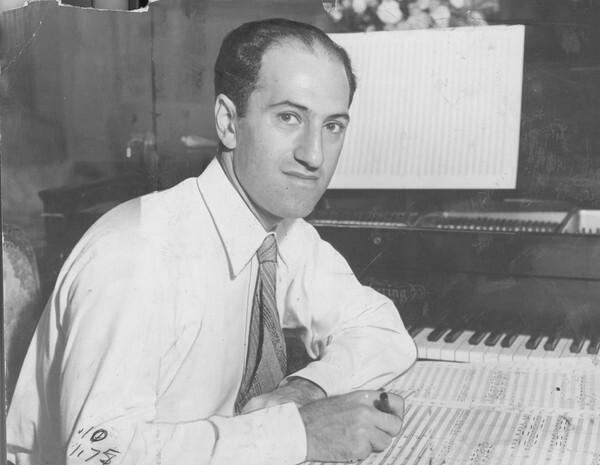 George Gershwin would have been 114 years old today! Born in Brooklyn, New York in 1898, George’s music has become synonymous with America. He began his career as a ‘song plugger’ before starting to compose Broadway theatre shows with his brother Ira, who was his lyricist. George was one of the few composers to successfully write classical and jazz genres incorporating both into his highly original style. His huge output includes the opera Porgy and Bess, orchestral works such as An American in Paris, and Rhapsody in Blue for piano and orchestra. He also wrote numerous film scores and his contributuion to the American Songbook is immense; many of his songs are now jazz standards. Gershwin wrote few piano works but his Piano Concerto is a favourite in the concerto repertoire as is the Rhapsody in Blue, and I love playing the Three Preludes for solo piano. His tragic death from a brain tumour in 1937 at the age of just 39 robbed the world of a great talent.